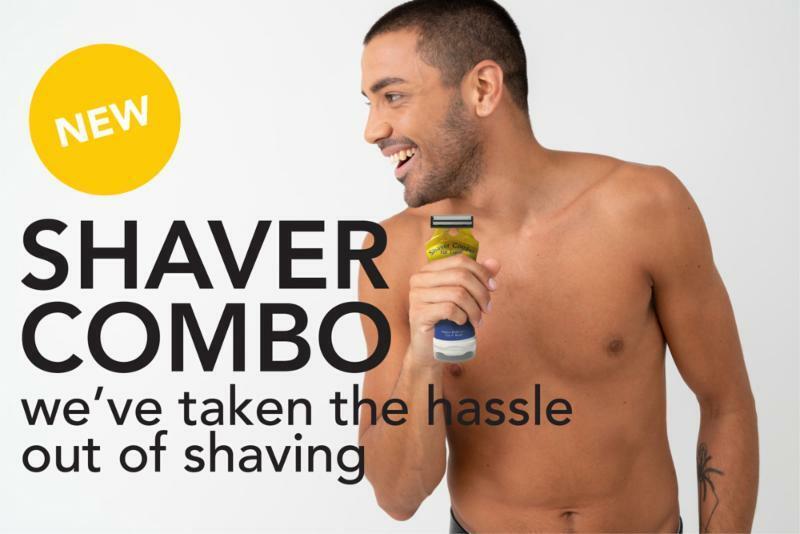 This Shaver Combo is a great all-in-one product. Perfect for travelling light or just for home use. The vitamin enriched gel is easily applied with the soft foam applicator at the base - then simply flip the tube over and shave. The handsfree applicator is perfect for sportsmans, fisherman, the camper, the golfer, the skier, the tennis player, the outside sportsperson along with all those who enjoy the sun and fresh air.